through this appeal? Do they use the term “confederalism” in the sense in which it is used in comparative state law? Or are they thinking of something else, a confederalism “Belgian style”? If the latter, what exactly does that consist of? This contribution seeks to bring some conceptual clarity into the debate. The classic theory of confederalism, about which there is widespread consensus among lawyers, is taken as the golden thread. Confederalism is, according to that theory, a relationship between states that agree, in a treaty, to form a confederation in order to work together in a number of different areas. This confederation is not itself a state, but does have its own institutions that represent the participating states. It has a limited number of powers assigned to it in the treaty. In principle such a treaty can also be terminated. In this article, three historical examples of confederation (the United States, Switzerland and Germany) are considered, as well as the few confederations that still exist today. Contemporary Belgium is not one of them. Rather, Belgium today exhibits all the characteristics of a federal state. It is true that the bipartite nature of the country, which is made up chiefly of Flemish and French-speaking citizens, and the mechanisms available to protect the French-speaking minority within the federal institutions (an ‘alarm bell’ and special majority provisions in Parliament, parity in the cabinet), mean that the decision-making process in Parliament often resembles a negotiation between the representatives of two political communities. To qualify a state system as confederal, however, this is not sufficient. 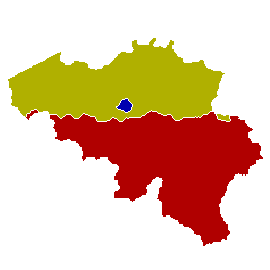 The plans for a future “confederal” Belgium being put forward by the political parties cover a multitude of meanings. They may refer either to a deepening of the current form of federalism (e.g. by allocating most of the powers to the constitutive states or by no longer assigning residual powers to the federal state), or to a form of confederalism in which the constitutive states enjoy the so called “Kompetenz-Kompetenz”, and assign various competences to the confederation by means of a treaty. For the sake of clarity in the democratic debate, this contribution calls for greater conceptual orthodoxy.